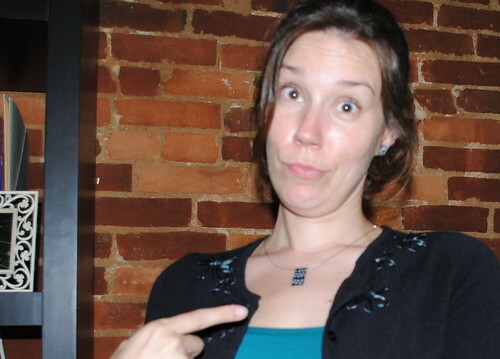 Ever have an article of clothing in your closet that's perfectly functional but a little bland? 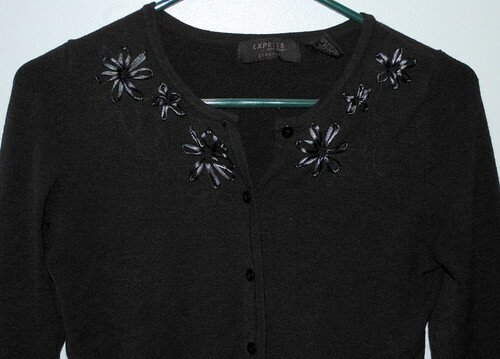 I have a black cardigan that I've owned since I was four. Okay, maybe not quite that long, but it's been with me for at least ten years. I'm sure that for some of you, once a sweater hits its golden years, it's time to send it out the door and do some shopping. But I'm trying to cut back on my spending these days. 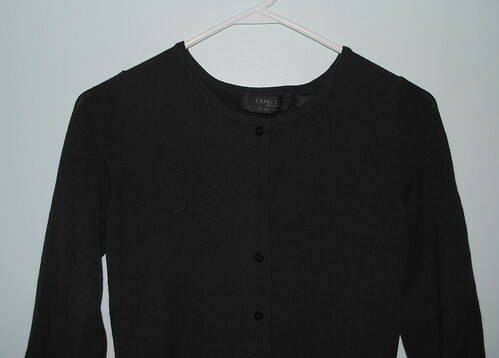 And it's still my utilitarian dream sweater: black, so it goes with everything; 3/4-length sleeves that don't make me too hot; slightly stretchy; not at all itchy; and it still has all its buttons. Also, would Laura Ingalls throw a good sweater out just because it was boring? Just sayin'. You can't tell from this photo, but it's really faded. You can't argue. It's snazzy. 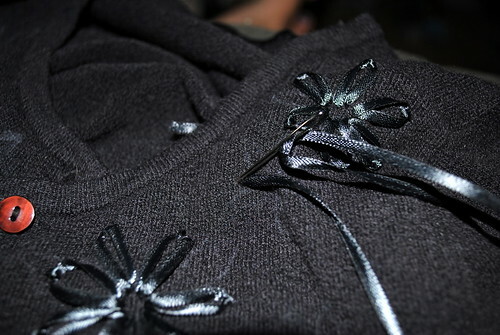 First, I went all double, double, toil and trouble on it and dyed the cardigan with basic Rit dye. It went from sort of black to jet black. Perfect. There may or may not have been a brief terrifying moment when I thought I had dyed little black dots in the bathtub from the sweater dripping dry. Thank goodness for bleach. Anyway, after the sweater was dry, I sketched out a quick design of flowers. I actually didn't end up keeping to this design much, but it gave me confidence for the actual embroidery part. 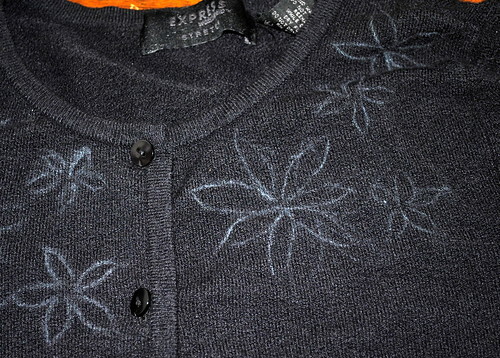 I knew I wanted embroidered flowers, but I thought traditional embroidery floss might not show up well and also might give the sweater more of a country-sweet look than I was going for. So I opted for a simple thin satin ribbon, purchased from Michaels for $1.99, along with a yarn needle. I used a lazy daisy stitch for the flowers. 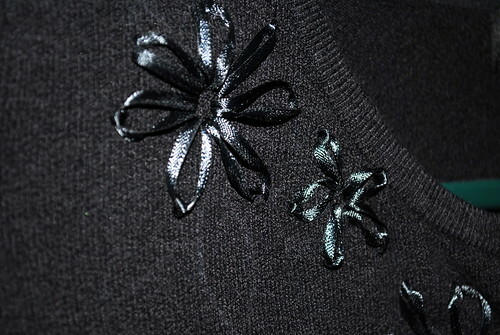 You can find basic tutorials for the lazy daisy stitch here and here. 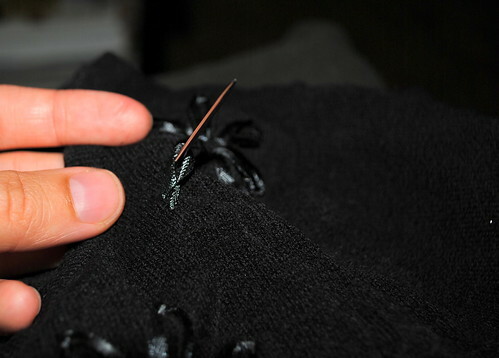 But essentially, you bring your needle up through the fabric at point A. 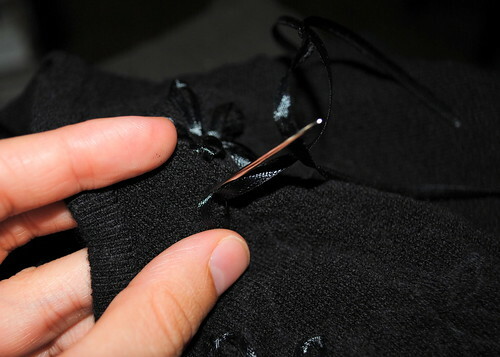 You pull the thread (or ribbon) almost all the way through, leaving a tail or knot on the wrong side of the garment, and then thread the needle back through point A. Don't go all the way, though. And then down right on the outside of the loop (C). 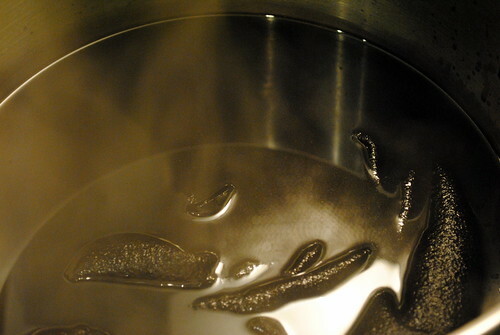 It's a little difficult to see with black on black, so I recommend visiting one of those tutorials I mentioned above. 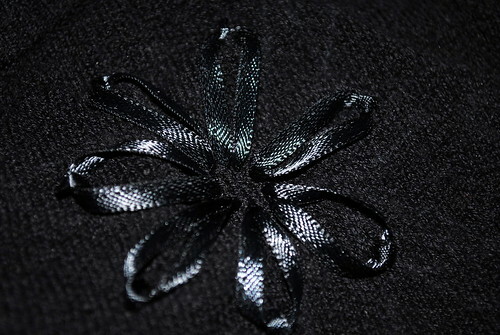 When you're finished, you have a lovely little flower like this. 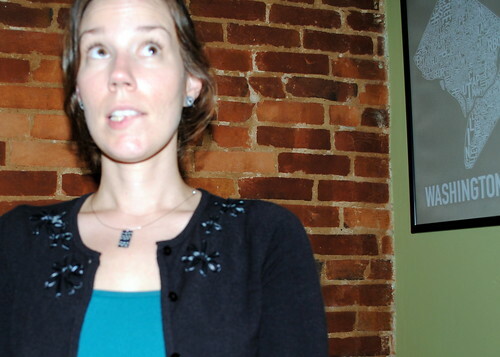 And then several flowers (and one episode of Little House on the Prairie) later, you've turned a drab sweater into a unique and stylish cardigan. 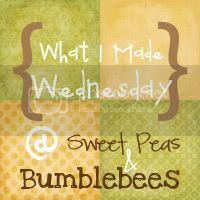 Hmm....what am I going to embroider next? Any items in your closet that need a pick-me-up? Sleeping bags, here we come!